In 1999, while I (Tony) was training a brand new specialist who had just starting working at the Illinois Poison Center, he listened to one of my calls from a nervous parent whose child ate something which was not poisonous. The parent kept repeating the same questions “What should I do?…What will happen?” over and over again. It was clear that this parent was concerned about his child’s welfare. Kent then heard me say “Do nothing and nothing will happen.” He and I later debated whether or not those were my exact words, but Kent won out and the phrase eventually became a poison center adage referring to calls expected to have less severe outcomes. In fact, some IPC staff members have posted this phrase in their workstations, and my co-workers even presented me with a gift of a t-shirt with this adage. So what exactly are non-toxic poisonings? Ingestion of substances which are inherently not poisonous. Ingestions of items which are potentially poisonous however, are in very low concentration. Substances which are potentially poisonous however consumed in trivial quantities. Examples of non-toxic items are pencil erasers, pencil lead (graphite), ball-point pen ink, crayons, chalk, and non-toxic foliage such as jade or spider plants. In a vast majority of these cases called into IPC, nothing more than simple observation of the patient is advised. Often, however, callers will have an itch to “do something”. For instance, before calling us, a parent may do some extreme, unnecessary, or even dangerous such as sticking fingers down the child’s throat and twirling the child around to make him vomit (“this is bad”); forcing the child to eat or drink something greasy such as vegetable oil or lard (“Eww! Yuck!”); trying to give mustard or salt (“A No No”); or flushing the eye with milk (“Yikes!”). Sometimes the treatment rendered is downright disastrous. Did you know that about 90% of calls from the general public are “managed on site” by poison center staff. The percentage is even higher when looking at those poisonings involving children 6 years of age and under. 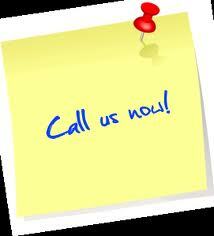 This means that in many cases we can instruct the caller to manage the situation at the caller’s site (e.g. home, work, school, etc.) rather than referring them to a healthcare facility unnecessarily. This can save you much undue trauma, stress and a potentially dangerous panicky ride to the emergency department. Additionally, keeping patients who do not need medical care out of the emergency medical system can save enormous amounts of money for tax payers and the patient’s out-of-pocket expenses. You might ask: “Should I call the poison center if something is labeled as non-toxic?” Absolutely. Getting the input of a trained professional at the IPC; to just “cover my bases”; or to get some calm reassurance about a known or suspected potential poisoning exposure are all appropriate and encouraged reasons to contact us. That’s what we are here for! Although a substance may be “non-toxic”, an exposure may still pose a hazard of adverse reaction if the patient is allergic to it (e.g. one penicillin tablet ingested by a patient with an allergy to this drug). Also, some items may act as foreign bodies and pose choking hazards (e.g. plant berries or toy parts). So, if you should happen to call the IPC at 1-800-222-1222, about a known or suspected potential poisoning incident and ask the questions: “What should I do? Or What will happen?” and we advise “do nothing and nothing will happen” or some variant thereof, you can rest assured that nothing or very little is expected to occur. 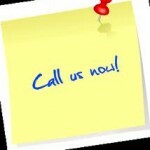 Call first – we can help! Hi Connor, please call 1-800-222-1222 and an nurse, pharmacist, physician or other poison information provider will be happy to help you. It is a free, confidential service.